A bit premature, but next year will be 30 years since Céline won Eurovision in Dublin. A new English album due spring 2018. Isn't a Céline interval performance a dead cert? Shouldn't she pay tribute somehow? The 43 songs for this year's contest have been revealed, so which country will be the lucky one to host her 30th anniversary appearance if were to happen? I've been thinking about this as well. Have to say though it doesn't seem very likely (isn't she usually doing Vegas in May?). Would be a great move though, since it gets great ratings all over Europe (and Australia ). And I'm sure it would garner a lot of media attention in the rest of the world as well. Edited by Dancing_Queen, 01 April 2017 - 08:14 AM. Italy is the betting polls favorite, then Bulgaria and Sweden. They are sometimes correct. We had a little idea, would you go back to the Eurovision stage to mark the 30th anniversary of your victory? That would be in two years, May of 2018. Wouldn't that be a good idea? You want to organize my schedule or what? Well, maybe! If you need me you can always ask for my help! Oh, how nice of you! It's a good idea. Let's wait and see how things go... Everything is possible. I want to keep all the possibilities available. Edited by Celine Fan 77, 01 April 2017 - 08:53 AM. That is an excellent idea. If she releases the new album in spring next year this could be a great opportunity to promote it in Europe. I can see it coming and I'm sure Aldo could arrange things with Las Vegas. Eurovision has become so huge recently and a very important TV event not only in Europe. We should maybe initiate this idea on social media when the time comes as we did for Beauty and the Beast. The organizers of Eurovision could have interests in having Céline as an interval act as well. I was also thinking of this posibility. BUT as it is obvious this past few years that EBU(or should I say Swedish production "read" Christer Björkman) is desperate to make ESC a worldwide show. She should do it. No better promo all across Europe in one shot!! And she doesn't need to have a radio hit. She's Céline Dion!!! They would welcome her with open arms. Swedens biggest commersial radio station "MIX Megapol" celebrates living legend Celine Dion today, they're now playing NPPSM ! Even her official biography acknowledged that. 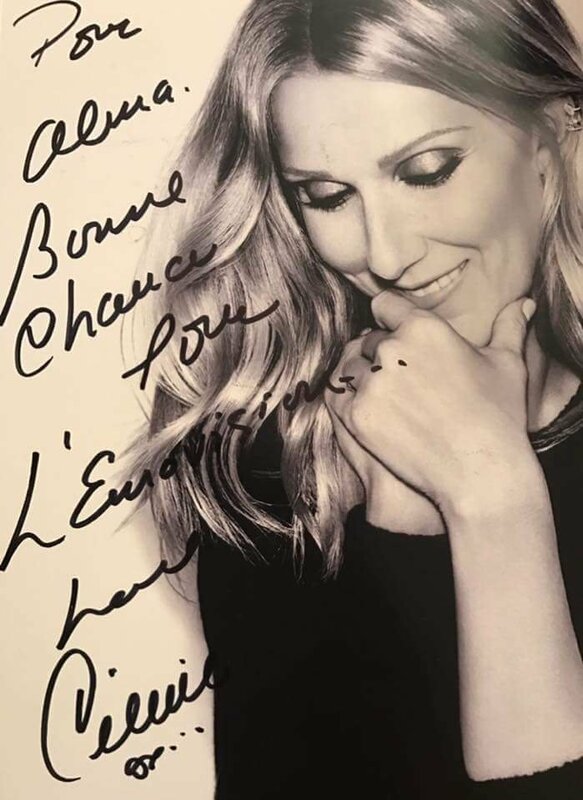 NPSM was a flop everywhere and when we think "Céline Dion" , we don't think of ESC,sorry. Céline didn't like the song if I remember correctly (biography too) and she never sang it again afterwards beside some shows in Canada. That says everything. But really everything. Edited by isurrender, 05 April 2017 - 10:50 AM. i think you are right. Ziggy did put her name a second time in France, people then saw that she was not only a screamer. And beauty and the beast in USA. It did certainly nothing for her in Asia. I beg to differ. Sure, her Eurovision win didn't have an immediate or significant impact on European markets, but within a year of winning in 1988 she bagged a brilliant British songwriter called Christopher Neil who penned WDMHBN (and later Think Twice) which she sang a year later at Eurovision 1989. We all know that song was the the real beginning of her English language career! The wheels had been set in motion with that Eurovision win. And when she cracked the US market in 1991, I completely remembered the voice and the name from those two Eurovision performances. Eurovision sure didn't hurt her career!! Edited by Xpresso, 05 April 2017 - 09:20 PM. The song is very cheesy etc, and a bit naff lyrics wise. But that's eurovision! Well at least it was back then especially lol. The song was perfect for eurovision. Even Terry Wogan said she was the best singer in the competition. The song didn't do much for her, but her appearance there helped her career a lot I think. I think that for the longest time, she was embarrassed by her participation in the contest and thus she refused to even discuss it properly. I remember being quite shocked when watching her Jonathan Ross interview in 2013 - they properly talked about it! Anyway, Eurovision wasn't detrimental to her career but equally, had she not participated - she'd have still become the legend she is today. I think winning Eurovision means something more as a retrospective thing than it does as a current thing - these days, it's regarded as one of her big achievements but it was hardly mentioned during her 90s peak. I really don't mind that the song is a bit cheesy - I love it! Wondering if Celine is watching Eurovision finals on this fine Vegas Sat afternoon. And wondering what she thinks of it these days. Edited by scielle, 13 May 2017 - 01:33 PM. She should, it would be epic. But I think (deep down) she doesn't want to. She rarely talks about Eurovision and when it's the subject, she always seem to want to skip the next question. Portugal & Belgium my faves so far. I miss people just standing there and singing! No frills, no gizmos, no explosions, no dancing gorillas. So glad for Portugal. Thought he was by far the best. Miles ahead of everyone else. And his little speech just now? "Music is not about fireworks." Amen. And respect. I wasn't a huge fan of the song but I'm getting more and more used to it. I love his attitude though!